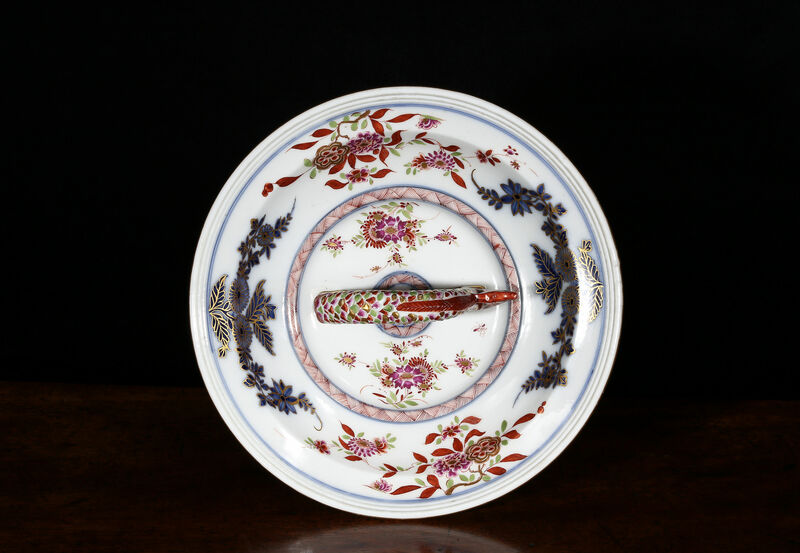 Large crossed swords in under-glaze blue inside the tureen. 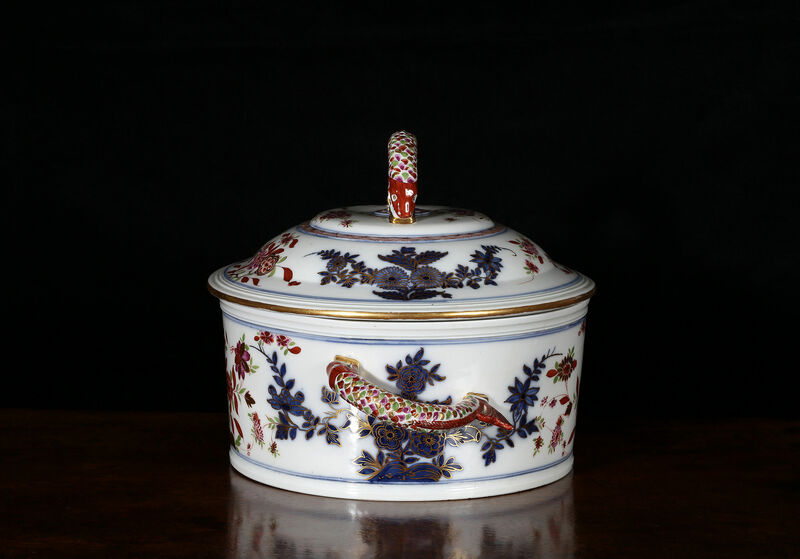 An early Meissen tureen of cylindrical form with shallow domed cover and stylised Chinese fish as handles on the bowl and lid. Boldly decorated in underglaze blue, iron-red, purple, green and gold. 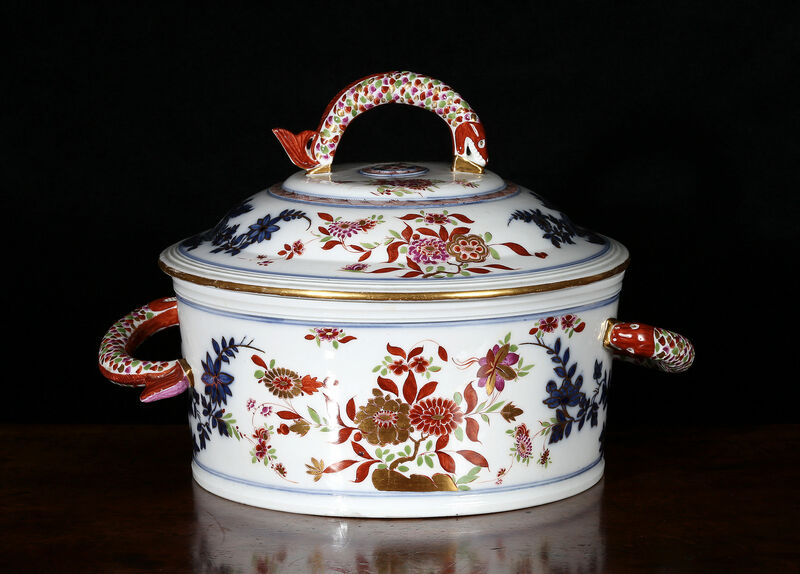 This is the earliest model of tureen made at Meissen before the arrival of Kaendler and the introduction of new silver-based forms. 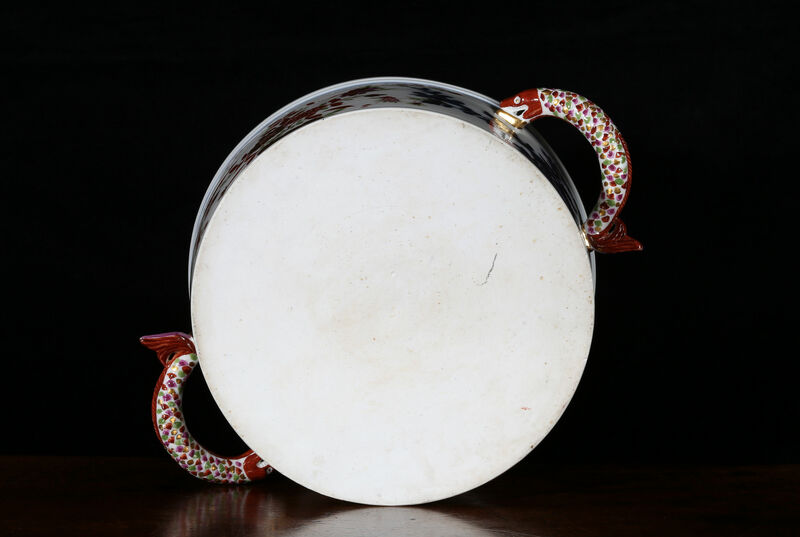 The handles are probably copied from Chinese bronze vessels. A pair of tureens of this form decorated in under-glaze blue and gold are in the Residenz, Munich. Another pair now in the Pitti Palace, Florence, came from the Palazzo Reale in Parma in 1861. 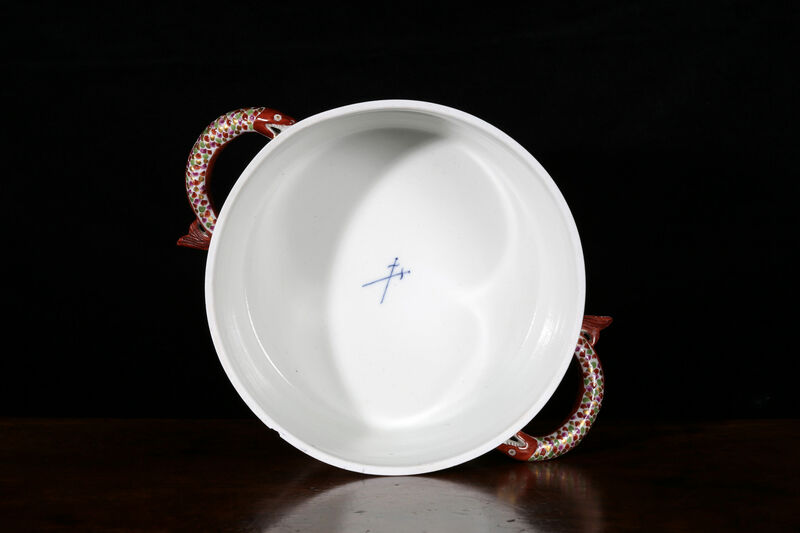 Condition – Chip to rim of bowl. No restoration.